Let’s focus on ‘Inbound Links‘ this month! What are inbound links? 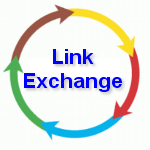 An inbound link (also referred to as a back link) is a link on another web site that points to a web page on your site. There are a number of tools you can use to see the inbound links pointing to your website. Google’s Webmaster Tools is a free tool you can use to see the inbound links pointing to your site. To view a sample of who links to your web page, run this query on Google: “link: www.yourwebpage.com“. What sort of links do you need? Links from authoritative sites are gold in Google’s eyes. What are some of the resource sites that you turn to in your own business? The more authoritative links from related web sites you have, the better your site will rank. If your competitor has 20 of these links, shoot to have 40+. Be a resource for other sites in your business; Produce Valuable Content on a Regular Basis. If your site has quality information, other sites will include links to your site. See how it works? How often do you post on your business Facebook / LinkedIn pages (and other social media sites) about quality content? When people ‘share’ your business information, Google sees this. Be an expert in your field – Comment on business forums, publish articles, place reviews where appropriate and include a link back to your site. Some of these resources are set to ‘no-follow’ (search engines don’t follow them); Even so, the mere presence of your comments will help new people who have never heard of you find you. Link exchange or trading links still works if done properly. ‘Reciprocal linking’ used to be a term where you would trade ANY sort of link, just to get ANY sort back. Google is smart and does not count these links. The key is to connect with other experts who serve the same target market that you do but offer a complimentary, relevant product, program, or service. If their product, program, or service would help your audience, and it is relevant to what you do, then linking to their site and them linking to yours may be a great fit – and a great opportunity for exposure to a new audience. Obtaining inbound links can be done, but it requires time and effort!